References | Lafayette Tree & Landscape Inc.
Thomas’s hardscape paver driveway, pool decks, and flagstone entry way are excellent. The design elements are simple and effective and the unseen aspects of the landscaping such as drainage and irrigation are superior quality that I can count on functioning properly. The job here was done very efficiently with a knowledgable and polite crew. There were no delays and we were very happy with the end result. Hiring Thomas was peace of mind for me. The job was done responsibly and right. I highly value the trust I have in him. After having a horrible experience adding on to our house, we were gun shy to have another contractor on our property. Thomas and all the staff at Lafayette Tree & Landscape not only did a fabulous job but they restored our faith! There was one issue with a subcontractor and when I brought it to Lafayette Tree and Landscape’s attention, within 5 minutes all of the subcontractor’s employees were looking at the problem and began to fix the problem. We highly recommend Thomas and everyone at Lafayette Tree & Landscape! 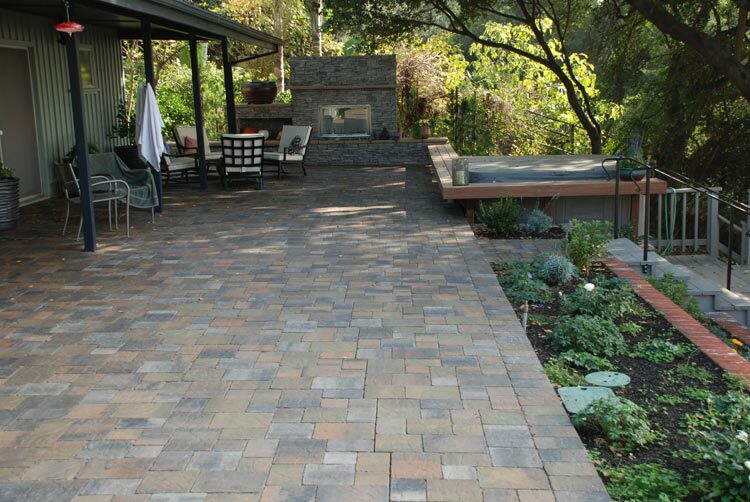 During the past 5 years, Lafayette Tree & Landscape has done three projects for us at our home in Orinda. All work was done in a timely and efficient fashion, the worksite was always left clean and tidy, and we have been very pleased with the results. We look forward to having them back for future projects. Our thank you extends beyond the excellent quality of your workmanship. We appreciate your being mindful of our budget and offering ways to say within it. Quick resolution to any concerns and professionalism by all of your staff support why you have been in business for so long. Your generosity in helping create a sacred space for our community confirmed our belief that it was critical for us to choose a contractor who had all the characteristics of a fine craftsman and business person, and also interest in his community. A huge thank you! After a swim and a soak this evening, we sat by the outdoor fireplace and had a bottle of wine, along with cheese and crackers. We are so happy with the way everything turned out. We made a toast to your health and well being. We are still waiting for the terrace furniture to arrive, and hoping that the good weather will continue just a bit longer, as we now enjoy the outside of the house much more than the inside!